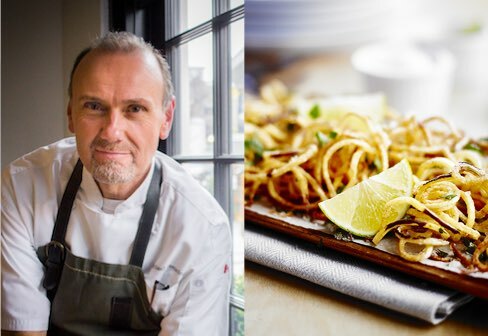 Chef Antoine Sicotte, also known as The Rebel Chef, is an incredible gourmet chef from Quebec, Canada. 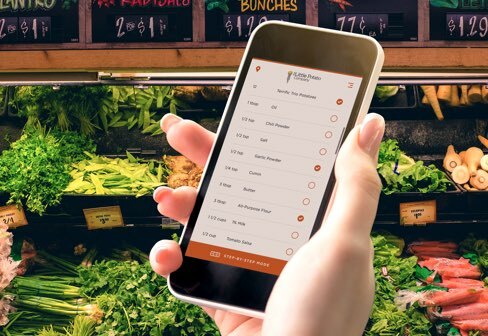 He has a flair for creating classic recipes with a twist, inspired by different regions around the globe. 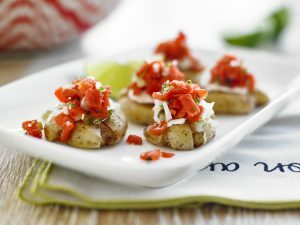 Chef Sicotte exclusively uses our Creamer potatoes and has crafted 10 unique recipes that will take your taste buds traveling everywhere from South America, Italy, France, Canada and back again with these deluxe, indulgent dishes. 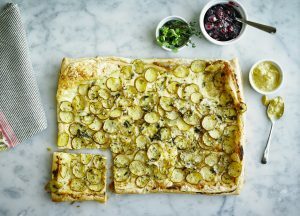 Puff pastry, Creamer potatoes, onions, and Raclette cheese come together to create this decadent appetizer. Serve alongside some cranberry jelly to add sweetness. 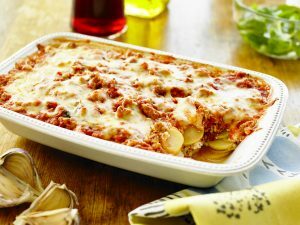 This indulgent lasagna recipe uses Little Potatoes instead of pasta for a tasty, gluten-free version of a classic dish. 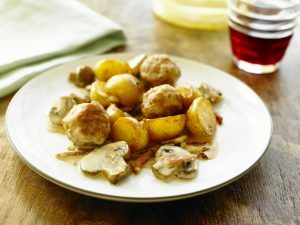 Deconstruct a traditional casserole dish and cook it in a cream sauce with Worcestershire sauce and Dijon mustard to create this savory recipe. 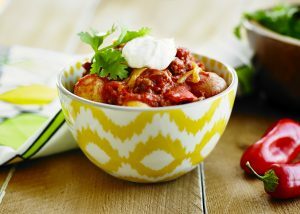 Elevate your standard chili recipe with Creamer potatoes. With beef, chili powder, coriander, and cumin, this hearty bowl will keep you warm and full. 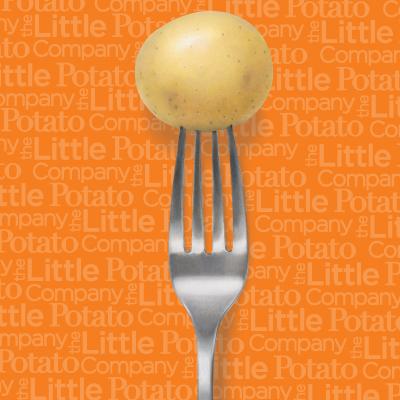 Steamed Creamer potatoes are topped with cream cheese, smoked salmon, and sharp flavors from dill pickles and shallots. A delicious appetizer that’s easy to make. Not your run-of-the-mill chicken and potatoes recipe. 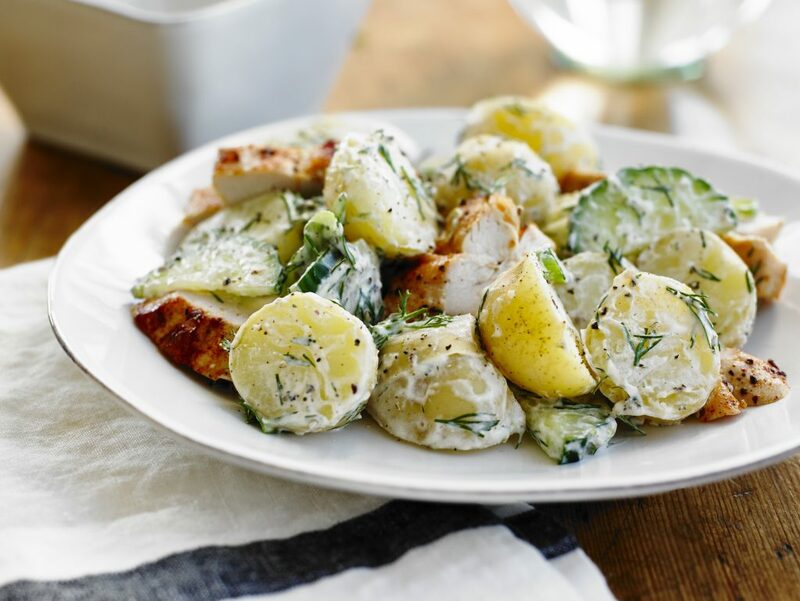 Inspired by dishes from this Greek peninsula, Creamer potatoes and chicken breasts are coated in Greek yogurt, fresh dill, and lime juice. 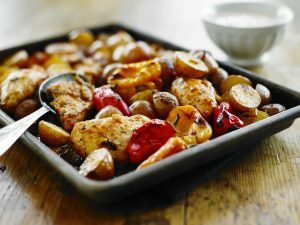 Take your sheet pan dinners to the next level by adding in your own homemade jerk seasoning. 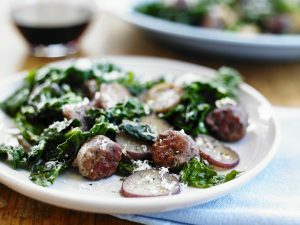 Inspired by the northwestern region of Italy, this casserole features Little Potatoes, Italian sausage, and kale simmered in a red wine sauce. 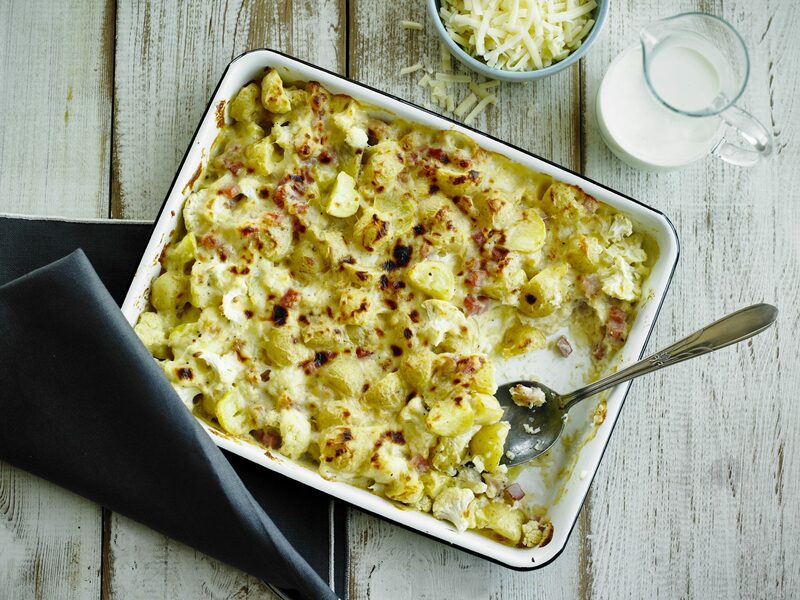 Creamer potatoes, ham, and cauliflower covered in a thick layer of cheese, butter, and milk create this decadent dish. And finally, a gourmet spin on a classic Canadian treat. 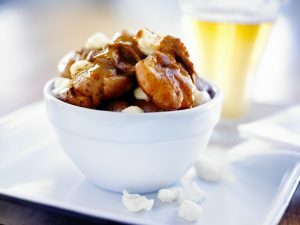 Creamer potatoes, beef sirloin, and salty cheese curds covered in a homemade sauce.